You don't need big dollars to tackle the Big D, not with CityPASS on your team. Dallas is the latest addition to the CityPASS family, which gives ticket holders discounted, front-line access to many of the city's must-see destinations. As America's ninth-largest city and the top tourist destination in Texas, Dallas has the best shopping in the Southwest, some of the best hotels, and year-round marquee sporting events. Some might be surprised to learn that Dallas also has the largest urban arts district in the nation, and 14 different entertainment districts. That's why it's called the Big D — it's big enough for every taste. 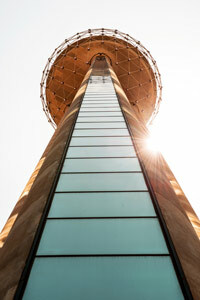 Use your first Dallas CityPASS ticket to take an elevated view of the sprawling metropolis from the Reunion Tower GeO-Deck. Resembling a giant steel and glass lollipop 470-feet high, the tower's GeO-Deck does much more than provide a city vista. Its high-definition telescopes on the outdoor deck and its zoom cameras inside give visitors a surprisingly clear view of the city's famous landmarks. It even has interactive Halo touch screens that allow you to create your own lightshow. A few floors higher is Wolfgang Puck's fine-dining, Asian-fusion restaurant, Five Sixty, which rotates in the evenings. But for lunch and light meals, Cloud Nine Café offers a rotating meal experience during the afternoon. At the Perot Museum of Nature and Science, Big D stands for "big discoveries." From below the earth's crust to as far into space as you can imagine, the Perot Museum offers an amazing exploration of our physical world. With 11 permanent exhibit halls and revolving special attractions, there truly is something for everyone. Enjoy an indoor nature walk in the Discovering Life Hall, or burrow into an “underground” crawl space revealing root systems and subterranean animals beneath the Piney Woodlands. Next, take a three-dimensional animated journey through the solar system — including a rest stop on Mars. There's an Innovation and Invention Hall that spotlights the advances made by North Texas engineers over the years, and other halls focus on the state's rich history of minerals and energy. 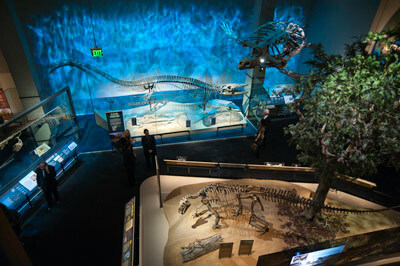 For kids, there's a hands-on dinosaur dig inspired by real fossil digs from the Big Bend area of Texas, and an Art Lab. The museum also showcases fossil finds, such as the razor-toothed Tyrannosaurus rex and the immense, plant-eating Alamosaurus. There are zoos and then there is the Dallas version, stretching out over 106 acres. 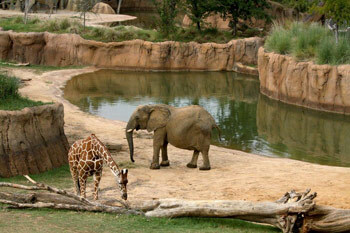 The Dallas Zoo is home to more than 2,000 animals; highlights include its famous Koala Walkabout exhibit, as well as Giants of the Savanna, where you can enjoy watching elephants and giraffes in a natural savanna grasslands landscape. Naturally, there is a wide assortment of amphibians, reptiles (including 70 species of venomous creatures), birds and all the mammals you expect to find. A gorgeous, colorful break from the urban hustle and bustle is the Dallas Arboretum and Botanical Garden, which is located a few minutes from downtown Dallas. With 66-acres of manicured gardens and groves of pecan trees, magnolias, crape myrtles, cherry trees and azaleas, visitors will feel peaceful and refreshed. 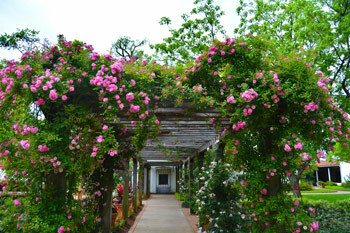 Check the website to see what's in bloom this season, and there's always a festival or special activity taking place. There's even a new eight-acre Children's Adventure Garden, where little sprouts can learn about birds, bugs and plant life. 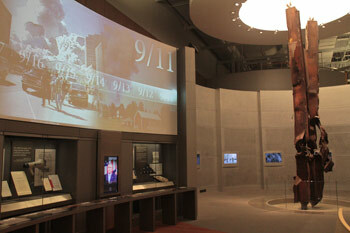 At the George W. Bush Presidential Library & Museum, CityPASS ticketholders can examine some of the most notable moments in our nation's history. From seeing the steel from the fallen World Trade Center to reviewing a montage of 44 U.S. Presidents, it's a unique look into the Oval Office. Visitors can experience the interactive Decision Points Theater, which explores the President's decision-making process during major crises. The Sixth Floor Museum explores one of our nation's darkest chapters, the assassination of President John F. Kennedy. 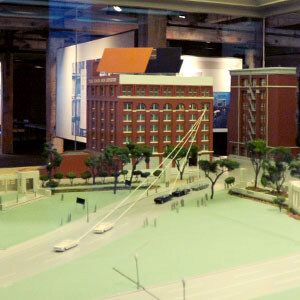 The exhibit, located in the former Texas School Book Depository, has hundreds of historic television and radio broadcasts, films, photographs and artifacts. It includes the sniper's perch, from where it is believed that the President was shot on November 22, 1963. The museum doesn't just focus on the fateful day, but also includes a look at the life of President Kennedy, his presidency, and the aftermath of his assassination. It's not to be missed.